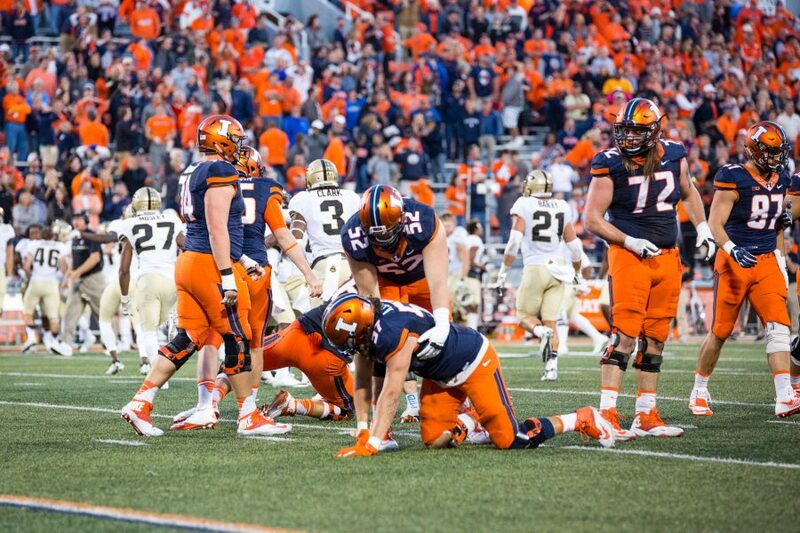 Another sports season is on the horizon at the University of Illinois, and if you are an Illini fan, you want to have a short memory about the season that just ended a few months ago. As Big Ten football media days approach in just two weeks, so much has happened since the last time media, coaches, players and fans descended upon Chicago to officially kick off the beginning of the fall sports season in the Big Ten. A short timeline of the events go as follows: Tim Beckman fired as football coach one week before the 2015 season began, and Bill Cubit named interim head coach by then athletic director Mike Thomas. Thomas was then fired in November, just days after a win at Purdue, and Paul Kowalczyk named interim AD. Kowalczyk officially names Cubit the head coach just before Illinois' final regular season contest at Soldier Field against Northwestern. A tumultuous basketball season followed, with John Groce's Illini squad finishing under .500 for the first time in several years, and seeing several players either injured or suspended before, during or after the season. The final nail in the proverbial coffin was when Kendrick Nunn was dismissed from the team for striking a woman on campus. Women's basketball coach Matt Bollant suffered much the same fate as Groce's mens team did, and at the end of the season, saw several players, including Chatrice White, leave the program, rendering Bollant to start from scratch once again, a position that seems to be foreign to him. But, things are beginning to look up for the future, especially on the mens basketball front. Groce, who has missed out on several top recruits in the past few seasons, struck gold on Monday when he received a verbal commitment from big man Jeremiah Tilmon, who will be a senior at La Lumiere Academy in Indiana. Tilmon, who is from East St. Louis, is a five star prospect that will give the Illini a post presence that they haven't had in a long time. Plus, the first five star recruit since Dee Brown in 2002 gives Groce his most talented prize in his four year tenure in Champaign. Already with Javon Pickett and Da'Monte Williams on board for 2017, the future has not shown this much promise in quite some time.